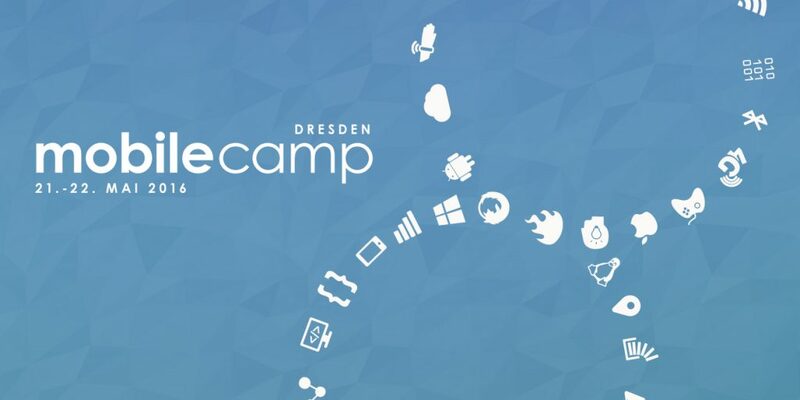 Last weekend was the 8th MobileCamp in Dresden. For me it was the third visit, and it was great as always. The topics varied from technical presentations like “Serverless restful APIs with AWS” by Stefan Jenker or “Xamarin: Native Cross Platform Development” by Robin-Manuel Thiel, over practical presentations like „What is UX“ by Adam-Ädämski-Rohn, to real discussions e.g. „Session für Eltern: Wie gehen Familien mit Tablets um?“ („session for parents: how families handle tablet PCs“) by Magdalena Böttger. My definite favorite was the “Psychologie” session by Thomas Weber on Sunday. He is a guy talking a lot and really fast, but in comparison with most people there is also a lot of content and no bla bla at all. In this session he talked about, why you could learn Chinese in half a year, but not stop smoking, and all the psychology behind it. This lead to his suggestion to try out consensus democracy in your company, like Premium Cola does already. I regret missing his talk on Saturday. I skipped the “Software Lizenzrecht” (“software licenses”) by Antje Killan, but only because I already heard her on this topic at the DevDay in 2015. She held another session about “Datenschutzrecht bei Cloud-Anwendungen” (“Information privacy in cloud applications”) and I am still a little afraid what you can do wrong and get sued for. I was in several other good sessions like the “Paperless World” by Niko Klausnitzer, where we had a really good discussion. Of cause not every session was that good. I even walked out of one, because in my opinion it was quite boring and not informative at all. But I think that is OK, the speaker sometimes wants to talk about different things, as what you expected from the topic. Overall I really enjoyed my time there and the only regrets I have are, that I did not present anything at all. Shame on me. But I can do better next year. See you at MobileCamp 2017.